Let's be honest: Run to the cash machine, validate parking tickets, rummage for coins or insert the EC card, then back to the car ... anything but comfortable, right? And it is precisely this process that Dukaten Parkering in Linköping, Sweden, saves its customers - together with SWARCO. The challenge was to implement a simple and convenient parking solution with an innovative payment system - without a card or cash. And in the best case for parking spaces with and without barriers. It was also important that the system could be used on many different parking areas in Linköping. In short: always the same system - no matter where the car park is located. As simple as possible for the end customer! Last but not least, there should be a function for parking space reservation ... Voilà, the perfect solution that combines all this: SwappAccess with SKIDATA - from SWARCO. Since SWARCO had already successfully installed SKIDATA barrier systems in several car parks and was the only provider (!) to implement parking spaces with and without barriers in one system, it quickly became clear that SWARCO was exactly right for the job. 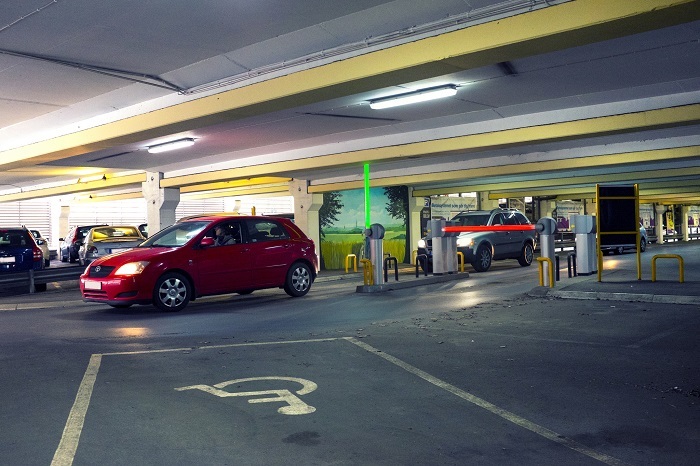 The innovative hardware is completed by the latest software development for contactless parking: SwappAccess. Features such as signalling chips or automatic license plate recognition enable fast entry and exit - without the need to pay to get out of the car. Maximum flexibility and maximum convenience for operators and users! One of the biggest advantages for Dukaten Parkering: Much less administration effort than before, as the parking lot users simply register online and handle everything themselves. And both are possible: 1) easy parking without barriers and 2) easy parking with barriers and automatic payment when driving out (using license plate recognition). The only thing that must be guaranteed here: The number plate must be clean and clearly visible - the parking system does the rest. And that supports the user already BEFORE the actual parking! Because through the uncomplicated online management you can buy parking tickets or reserve parking spaces from home. Welcome to the 21st century of parking! This user-friendly, time, nerve and money saving parking system is now used everywhere in Linköping. Once registered, the app will take you to the nearest free parking space if you wish. You don't have to worry about parking fees anymore. Simply start the parking timer and stop it again when you check out. This way you can keep an eye on the current parking fees all the time. And these are simply paid online. Gone are the days when you searched every pocket for a parking ticket! Conclusion: Together with SWARCO Nordics, SWARCO has created a smart overall solution: Installation of the hardware - barrier, camera and license plate recognition systems - as well as the entire transaction and payment solution via SwappAccess. Everything from a single source. "The special challenge was to develop a new system that could be used for parking with and without barriers."